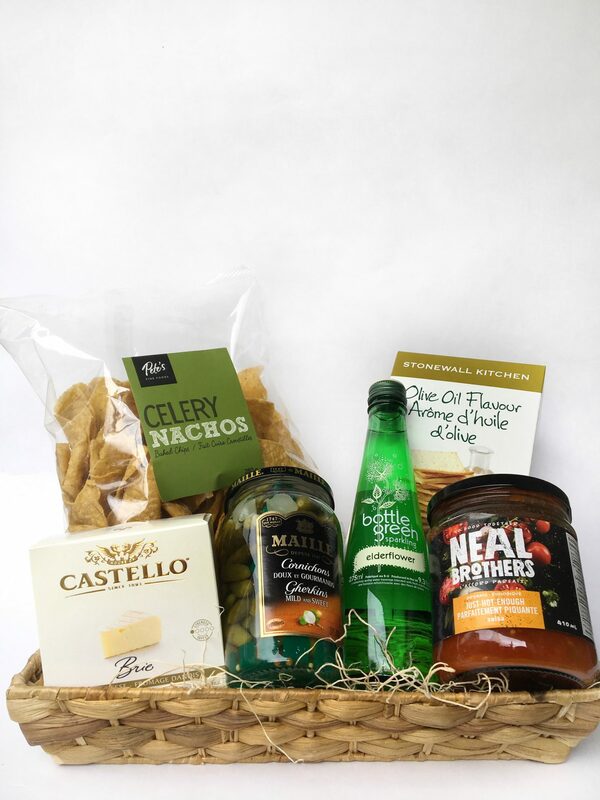 The finest flavours from our very own region are captured in the Maritime Magic basket. 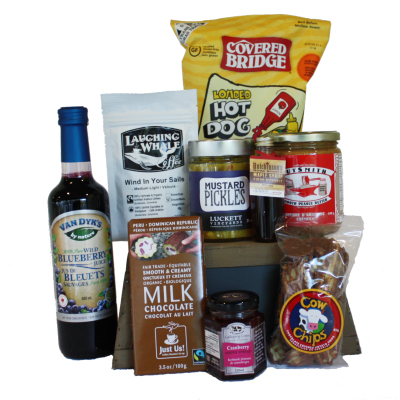 Showcasing a delicious gourmet selection of exclusively local products from preserves and pepper jellies, to locally roasted coffee and wild blueberry juice, this taste of home served in a charming rustic box is a gorgeous gift for any occasion! *Contents are subject to change to accommodate availability. We take care to substitute items as required with an equally delightful product. Orders must be placed 24 hours/1 business day prior to pickup, and 48 hours/2 business days between Dec 5 and 24. Please allow up to 1 additional business day for delivery. Delivery is performed by courier and must be received in person at the designated address. To ensure prompt delivery please provide a contact number for the recipient. Delivery is available outside of HRM starting at $30. For details please call 902.425.5700. A little taste of gourmet! A few versatile snacks for a sophisticated palette. The perfect way to toast the host! 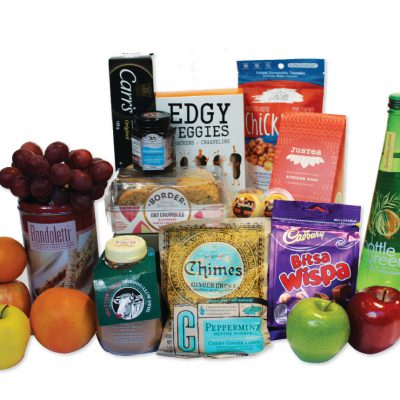 A collection of the most popular shareables found on our shelves. A great gift for a group, a team, an event or any occasion where sharing is the rule.